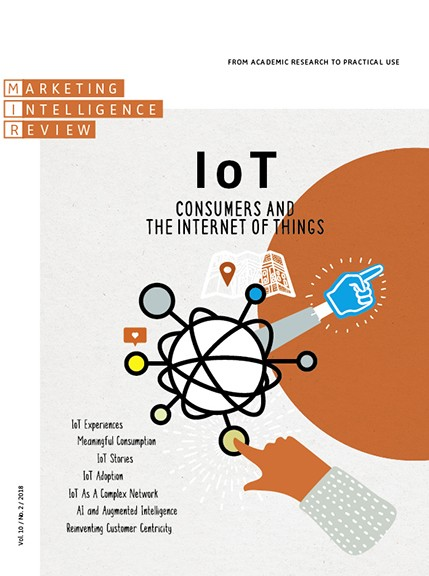 In the current issue of Marketing Intelligence Review, Larry describes five common mistakes marketers and product developers are making in the nascent Internet of Things and how to solve them. Given the multi-billion dollar potential for this new technology, overcoming these errors will be crucial for attracting wary consumers, who are already reacting poorly to security breaches, gimmicky products, and unbranded solutions. The article can be read or downloaded from MIR. As I noted in my article last week for Forbes, my first collaboration with the late John Perry Barlow, back in 1995, was a report on the privacy and security imperatives for the then-new concept of electronic commerce. In Barlow's memory, and in the wake of renewed concerns about these issues in Congress and the EU, we've made the report, "Five Privacy and Security Imperatives for Electronic Trade," available here. Just click on the link above to download it. Sadly, little has changed in the last twenty-plus years. All five recommendations are as valid today as they were when John and I first proposed them. In June, Presidential candidate Hillary Clinton surprised business leaders by issuing a detailed Technology and Innovation platform. Tech issues rarely feature in Presidential campaigns, but Clinton seems determined to shore up an already strong position in Silicon Valley by promising an administration that recognizes the singular role disruptive innovation has played in driving U.S. economic growth over the last two decades. Clinton’s plan may have been designed to deflect concern here in California and other innovation hubs about growing criticism of the tech economy from the Obama Administration and Democrats on the left. Just a day after Clinton released her plan, for example, Sen. Elizabeth Warren, who has taken an increasingly active role in the campaign, directly attacked leading technology companies including Apple, Amazon and Google, hinting that they had grown too large to escape the blunt instrument of antitrust to break them up. Overall, the Clinton agenda is something of a dog’s breakfast, mixing unlikely promises for significantly increased federal spending in education, basic research, and infrastructure with more specific reforms in such hot-button areas as immigration, intellectual property, and tech infrastructure. Immigration - Among Silicon Valley’s highest priorities, for example, Clinton promises “comprehensive” immigration reform, including a pledge to “staple a green card” to the diplomas of non-U.S. masters and PhD students in science and engineering, “enabling international students who complete degrees in these fields to move to green card status.” No technology company would object to that proposal. Patents - Clinton also pledges to fix the badly out-of-balance patent system, although here the promised reforms are modest. Clinton endorses legislation floating around Congress that would break the stranglehold of the notoriously plaintiff-friendly Eastern District of Texas, which openly courts patent trolls and frivolous litigation. But there is no mention of larger patent issues, notably the scaling back or eliminating patent protection for software and business methods, an invention of the courts and the patent office in recent years. The consensus, even among many leading software providers, is that those new categories have done far more harm than good. Copyright - On copyrights, Clinton promises a law that would “unlock” a ballooning number of older written and audio-visual works that, thanks to repeated and retroactive copyright extensions on behalf of Disney and other large rights holders, can’t be licensed or used because no one knows who owns them anymore. (Liberation of so-called “orphan works” would have been enabled by a proposed settlement in a case involving wholesale scanning by Google Books, but that settlement was scuttled in 2011. 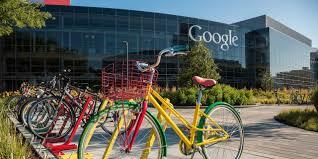 Google went on to win the case outright.) The Clinton plan is silent, however, on scaling back the expanding copyrights that created the orphan works problem—and others—in the first place. Clinton’s Tech and Innovation plan is more measured, if non-committal, about whether she sees the sharing economy as a direct attack on unions and labor regulators. She promises only to “convene a high level working group of experts, business and labor leaders to recommend how best to ensure that people have the benefits and security they need no matter how they work.” Depending on what specific “benefits and security” her experts believe casual workers need, that could mean either an endorsement of the sharing economy or its death by a thousand regulations. On that front, the Clinton agenda gets a mix grade. On the positive side, the candidate strongly endorses reducing regulatory barriers (largely at the state and local level, however) that unnecessarily deter more and more efficient private infrastructure, including “dig once” and “climb once” policies to encourage faster deployment of, respectively, fiber optic cable and next-generation mobile equipment. But at the same time, and even as the Clinton plan waves in the direction of continued Internet self-governance under the multistakeholder process that has worked so well, Secretary Clinton “strongly supports” the idea that Internet access should be closely regulated as a utility. As I’ve argued before, that approach is bound to slow both the speed and size of investments in continued infrastructure improvements. Radio Spectrum for 5G Networks – On the plus side of the ledger, Clinton promises to continue President Obama’s support for next-generation mobile networks, known as 5G, which utilize densely-packed cellular antennae and higher-band radio spectrum to offer as much as 100 times the speed and capacity of today’s wireless Internet. Secretary Clinton promises to release spectrum warehoused by the federal government itself, and to support a mix of licensed, unlicensed, and shared new frequencies that will accelerate nascent 5G applications including the Internet of Things and autonomous vehicles, as well as increasingly high-definition video. Internet Adoption - The Clinton plan also promises to expand broadband entitlement programs aimed at closing what remains of the digital divide. But these programs, including the troubled Broadband Technology Opportunities Fund, have had limited (if any) success. So far, they’ve produced little besides wasted taxpayer billions and corruption. While everyone shares the goal of universal broadband adoption for all Americans, the solution doesn’t come from raising taxes on consumer phone bills (currently approaching 20%!) to fund poorly-managed programs to subsidize rural and low-income communities. Among those who do not have a broadband connection at home, as repeated surveys make clear, availability and even price are rarely cited as the principal reasons. Non-adopters—especially older Americans—don’t have a broadband connection, it turns out, largely because they don’t want one. Rightly or wrongly, digital hold-outs don’t see the Internet as having any relevance to their life. That was a problem identified as long ago as 2010 in the visionary National Broadband Plan, from which the Clinton agenda cribs frequently without acknowledgment. And it’s one problem government could play a crucial role in solving through public education and the President’s bully pulpit. But not from throwing more money at federal contractors. As Secretary Clinton’s wish list suggests, what Silicon Valley really wants from both presidential candidates is not more government, but less. In many cases, much less. That desire, of course, distinguishes tech from most special interests, and Clinton’s team deserves praise for getting it at least partly right. For years, I’ve watched visiting politicians looking to partner with the venture community grow disappointed to hear from tech leaders across the political spectrum that they don’t actually want new federal programs or legislation aimed at promoting innovation. What they really want most is to be left alone; to be allowed to continue to practice the kind of largely unregulated experimentation that the Mercatus Center’s Adam Thierer calls “permissionless innovation.” That wise policy has been strongly supported by a bi-partisan coalition since the mid-1990’s. It has done more than any grant or subsidy could to promote U.S. leadership in the Internet and other emerging technologies, in sharp contrast to Europe, where centralized innovation planning and micromanagement have had the opposite effect. But Washington’s commitment to permissionless innovation has been under attack, particularly in the last few years. As the innovation economy increasingly becomes the economy, lawmakers can’t help but refocus their attention there. Law enforcement and intelligence operations, at the same time, are increasingly wary of open networks and encrypted communications (about which the Clinton plan hedges), generating some very public fights with innovators in the name of both consumer privacy and national security. The closer the next President--whoever it turns out to be--can hew to the U.S.’s longstanding if battered commitment to let a thousand Silicon Valley start-ups bloom, the better off everyone will be, in the short as well as the long run. Political pandering aside, what the innovation ecosystem really needs is a reboot of the 1990’s promise to leave the Internet “unfettered by Federal or State regulation” – a policy that now needs expansion to equally high-potential disruptors in energy, materials, robotics, genomics, health care, transportation and manufacturing. That, in any case, is the lesson of the last election in which innovation policy played a major role—the election, that is, of that other Clinton. The fall issue of Democracy Journal features an essay by Larry on the growing divide between disruptive innovation and technology policy, part of a series on the digital future. In "Fewer, Faster, Smarter," Larry argues that the continued explosion of digital innovation has created a public policy crisis for the 21st century. New regulators are coming face-to-face for the first time with disruptions that challenge decades or more of compromises and cozy relations between government and industries now being reconstructed. Innovators in the sharing economy, the Internet of things, artificial intelligence, the quantified self, self-driving cars, drone aircraft, digital currency and 3D printing are already feeling the pinch as regulators try to shove round disruptors into square laws, often with the encouragement of incumbents. Some of these issues may well rise to the surface in the 2016 Presidential elections. Already, Larry has been asked several times to comment on what the elections mean for Silicon Valley, which candidates best represent technology interests, and how technology will affect the election. While it is far too soon to answer many of these questions, there's little doubt that innovators and investors are watching closely--or ought to be! See also "Silicon Valley is a Political Issue in the 2016 Election" (TechCrunch, August 20, 2015), Andrew Keen's interview with Larry. And see 'Which Presidential Campaign is Winning Over Silicon Valley? 'None of Them'" (L.A. Times, Sept. 11, 2015), which quotes Larry on the current prospects and their campaigns. Last week, I participated in a program co-sponsored by the Progressive Policy Institute, the Lisbon Council, and the Georgetown Center for Business and Public Policy on "Growing the Transatlantic Digital Economy." The complete program, including keynote remarks from EU VP Neelie Kroes and U.S. Under Secretary of State Catherine A. Novelli, is available below. Regulation, on the other hand, happens at the same pace (at best). Even the most well-intentioned regulators, and I certainly include Vice President Kroes in that list, find in retrospect that interventions aimed at heading off possible competitive problems and potential consumer harms rarely achieve their objectives, and, indeed, generate more harmful unintended consequences. This is not a failure of government. The clock speeds of innovation and regulation are simply different, and diverging faster all the time. The Internet economy has been governed from its inception by the engineering-driven multistakeholder process embodied in the task forces and standards groups that operate under the umbrella of the Internet Society. Innovation, for better or for worse, is regulated more by Moore’s Law than traditional law. I happen to think the answer is “for better,” but I am not one of those who take that to the extreme in arguing that there is no place for traditional governments in the digital economy. Governments have and continue to play an essential part in laying the legal foundations for the remarkable growth of that economy and in providing incentives if not funding for basic research that might not otherwise find investors. And when genuine market failures appear, traditional regulators can and should step in to correct them as efficiently and narrowly as they can. Sometimes this has happened. Sometimes it has not. Where in particular I think regulatory intervention is least effective and most dangerous is in regulating ahead of problems—in enacting what the FCC calls “prophylactic rules.” The effort to create legally sound Open Internet regulations in the U.S. has faltered repeatedly, yet in the interim investment in both infrastructure and applications continues at a rapid pace—far outstripping the rest of the world. 1. As we saw earlier this month at the Internet Governance Forum, which I attended along with Vice President Kroes and 2,500 other delegates, representatives of the developing world were told by so-called consumer advocates from the U.S. and the EU that they must reject so-called “zero rated” services, in which mobile network operators partner with service providers including Facebook, Twitter and Wikimedia to provide their popular services to new Internet users without use applying to data costs. Zero rating is an extremely popular tool for helping the 2/3 of the world’s population not currently on the Internet get connected and, likely, from these services to many others. But such services violate the “principle” of neutrality that has mutated from an engineering concept to a nearly-religious conviction. And so zero rating must be sacrificed, along with users who are too poor to otherwise join the digital economy. 2. Closer to home, we see the wildly successful Netflix service making a play to hijack the Open Internet debate into one about back-end interconnection, peering, and transit—engineering features that work so well that 99% of the agreements involved between networks, according to the OECD, aren’t even written down. 3. And in Europe, there are other efforts to turn the neutrality principle on its head, using it as a hammer not to regulate ISPs but to slow the progress of leading content and service providers, including Apple, Amazon and Google, who have what the French Digital Council and others refer to as non-neutral “platform monopolies” which must be broken. To me, these are in fact new faces on very old strategies—colonialism, rent-seeking, and protectionist trade warfare respectively. My hope is that Internet users—an increasingly powerful and independent source of regulatory discipline in the Internet economy—will see these efforts for what they truly are…and reject them resoundingly. The more we trust (but also verify) the engineers, the faster the Internet economy will grow, both in the U.S. and Europe, and the greater our trade in digital goods and services will strengthen the ties between our traditional economies. It’s worked brilliantly for almost two decades. The alternatives, not so much. This week, Forbes Senior Online Editor Kashmir Hill and I launched a new video series, “VC/DC,” where we review the latest developments at the accident-prone intersection of technology and policy. The first two episodes are embedded below. We’ve envisioned the series as a regular look at the policy issues technology companies and investors should be paying attention to but probably aren’t. Kashmir and I each bring a unique perspective to technology and policy. A former D.C. resident, Kashmir relocated to the Bay Area a few years ago to cover privacy, security, digital currency and other cutting edge topics. As a Silicon Valley veteran who now spends nearly half my time in Washington at the Georgetown Center for Business and Public Policy, on the other hand, I am working to bridge the gap between disruptive innovations and the regulators who sometimes love them to death. The program will cover a wide range of topics, and won’t be limited just to developments inside the beltway. As our inaugural episodes makes clear, we’re also looking closely at how technology businesses are affected by local and international laws, as well as developments in the courts and the legal system overall. I hope you like the series and find it interesting enough to subscribe. We'd be grateful for your feedback in any case, as well as suggestions for future episodes. Episode 1: "The Accident-Prone Intersection of Innovation and Policy"
Episode 2: "Security Standards and the Patent Crisis"